Portland Stone Landscaping is a full range of ready-made Portland stone paving and walling products, sold through Albion Stone. These products have been carefully selected to provide a product that can be used in a variety of landscaping applications, at competitive prices. We are keen to ensure that all the Portland stone extracted from our quarries and mines is utilised. Demonstrating our commitment to sustainability and the environment, these landscaping products use stones that are off cuts or by-products from our masonry operations in the Albion Stone factory. 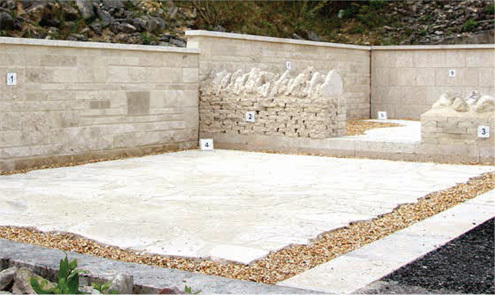 We recommend a visit to our factory site on Portland to view the stone products in our Landscape Garden.